Born during an age when women were expected to be nothing more than handsome window-dressing for their husbands, when women were expected to leave the rough and tumble world of politics to men, Maud Gonne rose above that prejudice to leave her mark on Ireland’s history. Gonne refused to accept the assignment that society ascribed to women -- she wanted to be more than a helpless cork bobbing on the stream of history. Gonne was determined to be one of those people who helped to direct that current, and she succeeded. Gonne was born on Dec. 20, 1865, in Aldershot, England; her father was a wealthy British army colonel of Irish descent and her mother was English. Her mother died in 1871 and Maud was educated in France by a governess before moving to Dublin in 1882, when her father was posted there. Maud’s father died in 1886 leaving her financially independent. Moving back to France for health reasons after a tubercular hemorrhage, Gonne met and fell in love with French journalist Lucien Millevoye, editor of “La Patrie.” The pair agreed to work for both Irish and French nationalist causes. Maud had been introduced to Fenianism by John O’Leary, a Fenian and veteran of the 1848 Young Irelander uprising. Irish politician Tim Harrington of the National League recognized that this beautiful, intelligent young woman could be an asset to the nationalist movement. He sent her to Donegal, where mass evictions were taking place. Gonne was successful in organizing the locals in protest against these actions. The fact that she soon had to leave for France to avoid arrest is probably a good measure her success there. In 1889, John O’Leary would introduce Maud to a man whose infatuation with her would last most of his life: poet William Butler Yeats . Yeats would propose to Gonne in 1891, and be refused; largely through Maud’s influence, Yeats would become involved with Irish nationalism, later joining the Irish Republican Brotherhood. In a quotation to which many a man through history might nod in agreement, Yeats would later refer to his meeting with Gonne, saying , “all the trouble of my life began” then. Gonne helped Yeats found the National Literary Society of London in 1891, the same year she refused his first marriage proposal; undaunted, Yeats would propose again in the future and even proposed to Maud’s daughter by Millevoye, Iseult, also unsuccessfully. Returning to Paris, and to Millevoye, Maud published a nationalist newsletter called “L’Irelande Libre.” She worked tirelessly raising funds for the movement, traveling to the US, Scotland, and England. Gonne would end her relationship with Millevoye in the late 1890s, but not before she had two children by him, Iseult and another that died in infancy. 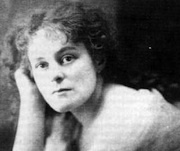 By now the name of Maud Gonne was well known among Irish nationalists. Returning to Ireland, Gonne co-founded the Transvaal Committee, which supported the Afrikaners in the Boer War, and on Easter Sunday 1900 she co-founded Inghinidhe na hEireann (Daughters of Erin), a revolutionary women’s society. Later she would write many political and feminist articles for the monthly journal of the Inghinidhe, Bean na hEireann (Women of Erin). Somehow, while doing all this, she found time to star on stage in Yeats play, “Cathleen ni Houlihan,” which Yeats had written for her. In 1900, in Paris, Irish politician Arthur Griffith introduced Maud to Major John MacBride , who had been second in command of the Irish Brigade that fought for the Afrikaner side in the Boer War. In 1903 Maud married MacBride. This marriage would produce a son, Sean, but it would be short-lived. The couple separated, with MacBride moving to Dublin while Maud, afraid she might lose custody of her son if she returned to Ireland, remained in Paris. Gonne would continue to write political articles for Bean na hEireann, and in 1910 she helped the Inghinidhe organize a scheme for feeding the poor children of Dublin. She also worked with the Red Cross in France during WWI. She would not return to Ireland until 1917. The Ireland she found on her return was in turmoil after the Easter Rising of 1916 and the execution of the leaders of that rising, including her estranged husband, John MacBride. Within a year she was jailed by the British for her part in the anti-conscription movement. This was part of the trumped up “German Plot” that the British used to discredit the Irish anti-conscription movement. Gonne was interned at Holloway Jail for six months along with Hanna Sheehy Skeffington, Kathleen Clarke, Countess Markievicz and others. After she was released, she worked for the White Cross for relief of Irish victims during the War of Independence. When Ireland’s Civil War came, Maud supported the anti-treaty side. She and Charlotte Depard founded the Women’s Prisoners Defense League to help Republican prisoners and their families. In 1923, she once again found herself imprisoned, this time by the Irish Free State government, without charge. Along with 91 other women, Gonne immediately went on hunger strike. The Free State government had obviously learned a lesson from the actions of the British in similar situations -- she was released after 20 days. For the rest of her life Gonne would continue to support the Republican cause and work for the Women’s Prisoners Defense League, which mobilized again in defense of Republican prisoners in 1935. In 1938, she published “A Servant of the Queen,” a biography of her life up to 1903. Gonne died on April 27, 1953, but her influence on Ireland and the world continued after her death through her son, Sean MacBride. Maud’s union with Maj. John MacBride was a short, unhappy one, but the son it produced may have soothed any regrets Gonne had about it. As a young man, Sean fought on the Republican side in the Civil War and later carried on his mother’s crusade for the fair treatment of political prisoners, not just in Ireland, but all over the world. Sean was one of the founders of Amnesty International. In 1974, her son was awarded the Nobel Peace Prize. Maud Gonne MacBride is buried in the Republican plot in Dublin’s famous Glasnevin Cemetery, a fitting final tribute to the woman some called Ireland’s Joan of Arc. Ta si ar shli na firinne.